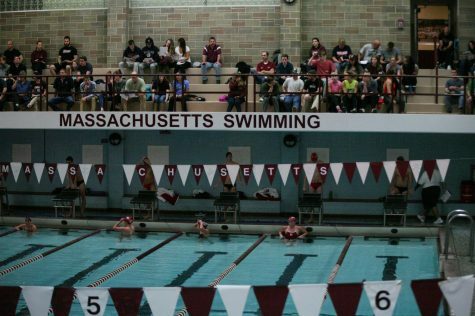 Three and a half months ago, the Massachusetts swimming and diving team opened its seasons on the road against Boston University. On Saturday, Feb. 5, both squads will be traveling to Fordham to take place in their final dual meet of the regular season. The Minutemen are riding high after taking first place at the Dartmouth Invitational, while the women’s squad finished behind the Big Green and took second place. The Minutemen have not lost a dual meet since their season opener, and they have defeated Army, Stony Brook, Binghamton, Yale and Boston College on their way to a 5-1 record. The team has also competed in three invitational tournaments, winning two of them and taking third at the Terrier Invitational. The Minutewomen bounced back after losing their first meet, defeating the Black Knights and then the Seawolves, respectively. However, those two big wins were followed up by a one-point loss at Binghamton, and another close loss at Northeastern. The women’s team once again responded to tough losses, and went on to defeat Boston College 216-78 in a dominating performance on senior night. The Minutewomen have also competed in three tournaments this season, placing first, second and third in the Rhode Island Invitational, Dartmouth Invitational and Terrier Invitational, respectively. 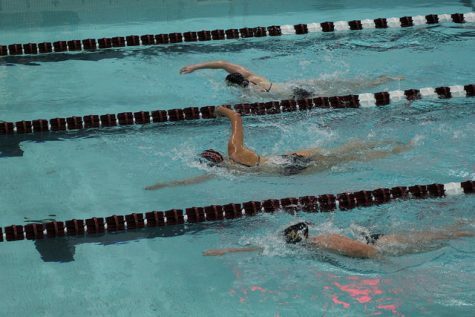 The Rams are preparing to host UMass Saturday afternoon at the Messmore Aquatic Center on the Fordham campus. The Rams’ last opponent was the Atlantic 10 rival La Salle University. Hosting the Explorers, the Rams earned a split decision with La Salle as the Fordham women improved to 5-1 on the season, while the men fell to 2-3. The Minutewomen are going to have their hands full in their last dual meet of the regular season because the Rams have been very successful both this season and in years past. The Lady Rams were voted as the preseason favorite to repeat as A-10 swimming and diving champions. 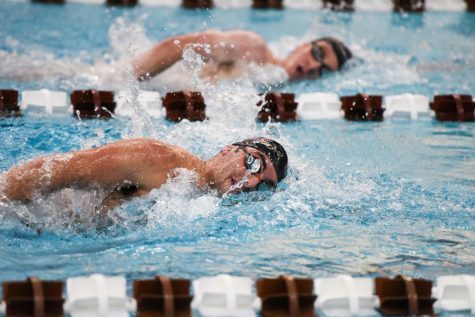 Men’s head Coach Russ Yarworth explained that, to him and his team, the preseason rankings do not mean anything, and that the only thing that counts is how an athlete swims on a given day. The men’s team is currently sitting on a 2-3 record, but its abilities are not justified in its sub .500 winning percentage. Two out of its three losses have come at the hands of non-conference opponents, with La Salle being the sole A-10 team to secure a win over the Rams. The Minutemen should be entering this meet confidently, not only because of their impressive 5-1 record, but also because of the depth they have as a team. This depth can be shown by honors given to stand out A-10 swimmers and divers each week, which Jason Cook, Derek Hursch and Chris Inglis earned over the course of the season. Both squads know that the end of the regular season is a few days away, and for the most of the seniors this could be their last regular season match as Minutemen and Minutewomen. The Minutemen seniors are Dan Backler, Max Butler, John Clark, Adam Duffield, Christopher Howard, Brian Schmidt and Trevor Ziegler. With the leadership of these student athletes over the last three years, these seniors have managed to help the team win their last three conference championships. With this veteran experience in the pool and on the diving board, the Minutemen are looking to end the season on a six-meet winning streak that dates back to Oct. 23. 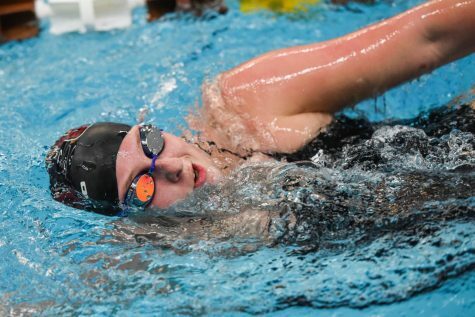 More importantly, these swimmers are preparing both physically and mentally to help the team capture its fifth-consecutive conference championship, and 10th championship in the last 11 seasons. The Minutewomen seniors are Gillian Bank, Jennifer Corriveau, Kaitie English, Meghan Nowak, Tavis Potter and Jessica Starosielec. 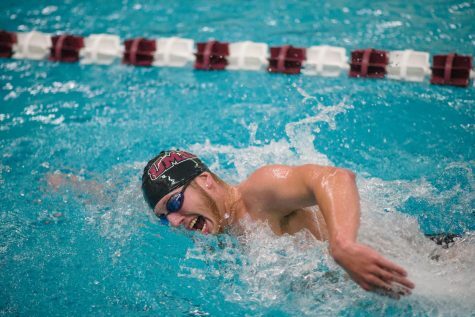 Starosielec has posted a very impressive senior outing and currently ranks first in UMass history in the 100 breaststroke and third in the 200 breaststroke. Not only are her individual accolades impressive, but she was also a member of the school-record setting 200 and 400 medley relay teams. A win at Fordham would end the women’s season with a winning record, and also give these seniors an upset win over the Rams. However, the seniors cannot do it on their own and it is up to all of the athletes to make sure they are prepared for both the end of the regular season, and the beginning of the A-10 championships.